Ep. 12 Ganbare Goemon 2 - The Legend of the Mystical Ninja 2 (Super Famicom) - Import Gaming FTW! The Sega Dreamcast was definitely a breeding ground for creativity, and left a lasting impact on the console gaming landscape, especially with regards to online gaming. 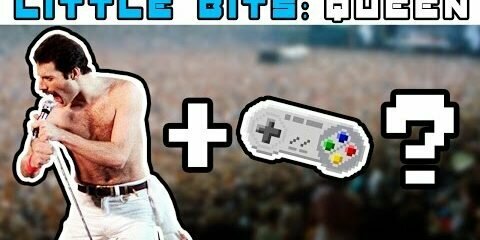 Some of the most innovative games ever made were brought about during Sega’s last hurrah, such as Jet Set Radio, Phantasy Star Online, and bonafied gaming cult classic, Shenmue. However, it wasn’t just Sega’s development teams who were pushing boundaries and bending genres on “the little system that could.” Many third parties were putting out incredible, imaginative titles for the Dreamcast as well, and one such party was the tiny development studio Love-de-lic. In the year 2000, publishing giant ASCII released the studio’s third and final software offering, L. O. L., or Lack of Love, which was a joint collaboration with world-renowned music composer Ryuichi Sakamoto (Merry Christmas Mr. Lawrence, The Last Emperor). Love-de-lic’s head, Kenichi Nishi, met Sakamoto through a mutual friend, and after several personal meetings, the idea for Lack of Love was conceived. The resulting game is a breathtaking work and a triumph in the argument of “games as art.” Accompanied by a fantastic soundtrack provided by Sakamoto, Lack of Love is, in my opinion, one of the Dreamcast’s best offerings that defies most gaming conventions with its uniquely non-linear and cryptic gameplay. Episode three of Import Gaming FTW! 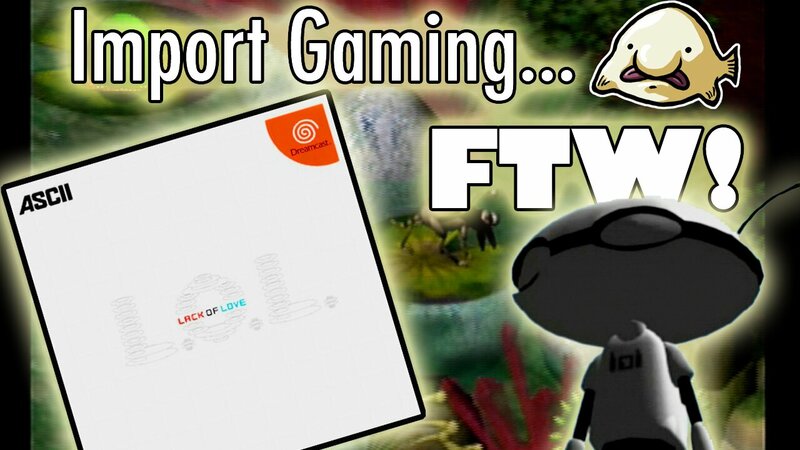 is all about L. O. L., and will hopefully convince anyone who hasn’t taken the Dreamcast importing plunge to do so immediately! With this third episode, I think I began to take video-making a little more seriously and started to improve my editing skills…still pretty rough, though! Anyway, enjoy! Very interesting find, Mr. Hapa! I wonder how much this game was influence by E.V.O. (which I consider to be a part of the SNES “Gaia” series), and in turn, I wonder how much influence this game had on SPORE and Flow. Thanks Rizz! Most likely there is some inpiration from E.V.O., but since I’ve never played it, I can’t really say for sure…from what people have told me, L.O.L. looks like a more fun version of that game. As for this game influencing Spore and Flow…I doubt it, since Lack of Love is such an obscure title. Though it would be cool if it did! This was incredible Jimmy! Not only does the game look absolutely AMAZING, and right up my alley, but your presentation of it was fabulous as well. Parts of this video really touched me. This game looks astounding and it’s a damn shame it was never released in the US as I am positive I would have owned it. I was a huge Dreamcast guy back in 99-2001. Thanks Aggro–it really is a shame that this game or any of Love-de-lic’s games left Japan.